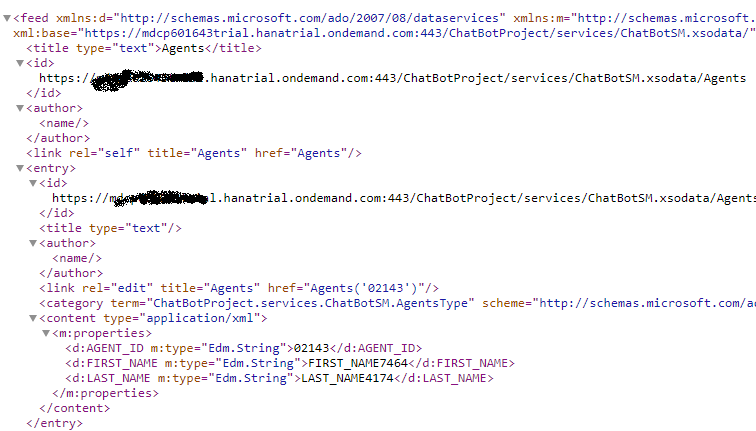 Recently i worked on one of the HYPE topic of the moment called ChatBot or interactive agent. So i decided to realise this serie of posts, to share this experience by using a practical end-to-end scenario. I will use SAP Cloud Platform and especially HANA MDC as Back-End technology that expose data through an HTTP REST service. 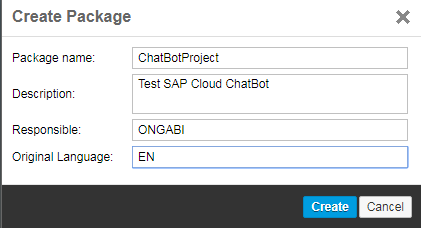 Using a chatbot tool that will consume this service and integrate it with FaceBook Messenger. 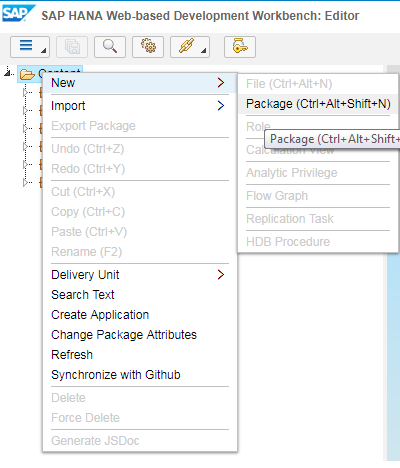 Using DialogFlow tool to create an Agent and consume the Back REST API. Integrating the Agent with FaceBook Messenger. 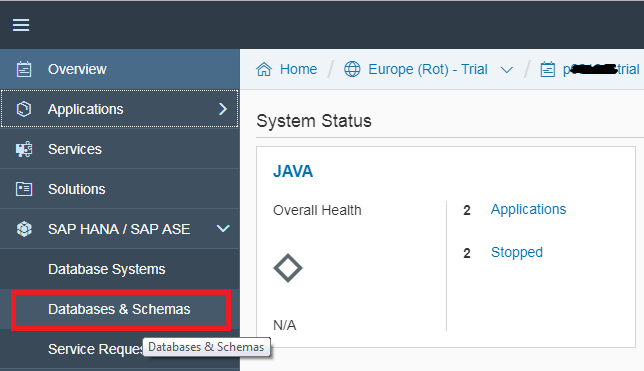 To follow this article you need to create an SAP Cloud Platform Trial Account. In this step you can choose what ever technology you want, an SAP ECC on-premise system or a Third party system. In my case and to be the most generic possible for my article i choose an MDC HANA XS in the Cloud because is free of charge. The use case will be very simple. I will create an OData service that expose Sales representante informations. 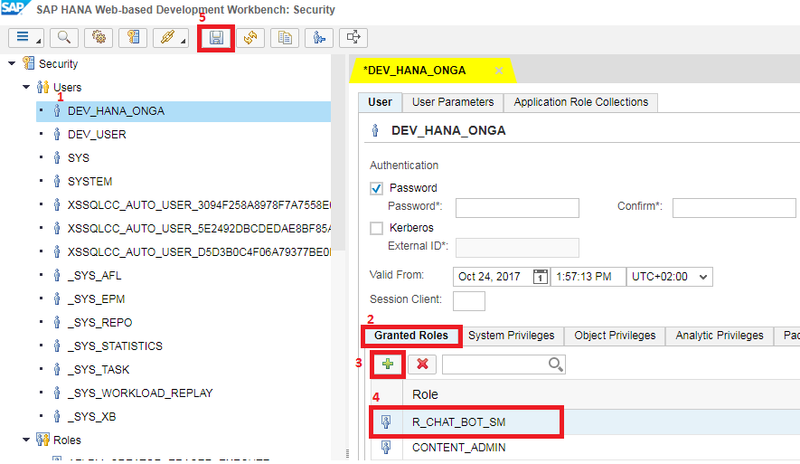 Log in as SYSTEM user on https://mdcpXXXXXXtrial.hanatrial.ondemand.com/sap/hana/ide/ and open Security link. Create new Role and call it R_CHAT_BOT_SM. Open the Object Privileges tab and add the Schema created before in XS Project. Don’t forget to Save those modifications. Assign this role to your development user. 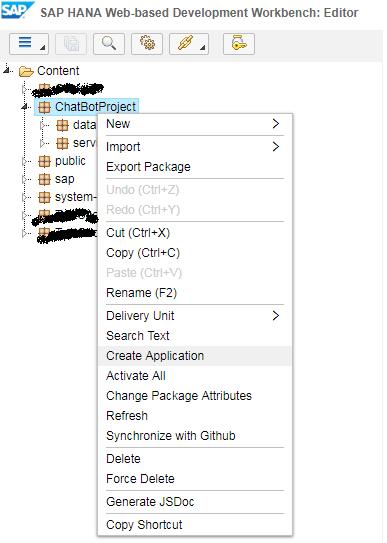 Select your development user under Users node and open the tab Granted Roles and add the R_CHAT_BOT_SM created previously and click Save button. Select Agents Entity and click Generate Data button. 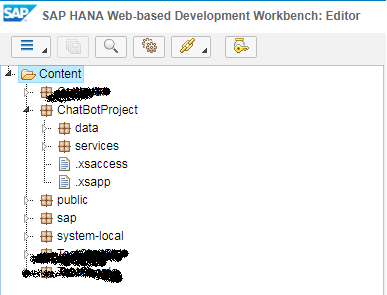 Again from the XS Project select ChatBotSM.xsodata file from project structure and click run button. 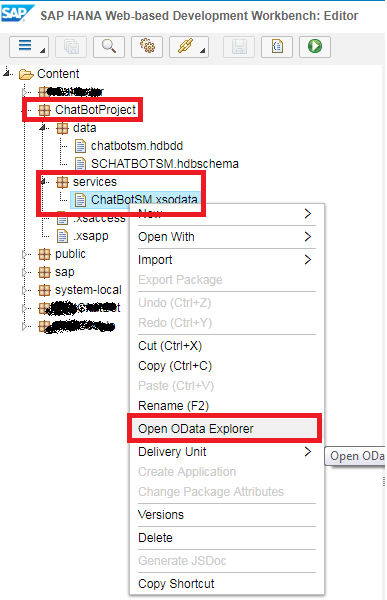 The metadata content of the OData service is shown as below. The service contains one Entity “Agents”. The exercise will be so easy if i consume my OData directly from the external side. 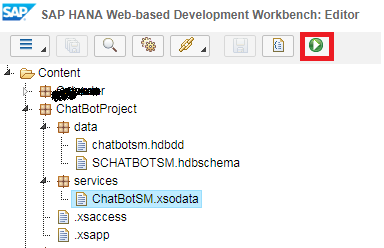 So to add some tricky stuff i will add an XSJS file that consume the ChatBotSM.xsodata service and apply some logic to transform the OData result. Right-click on services node and choose New -> File. Choose DEST_BOT_ODATA.xshttpdest as name. 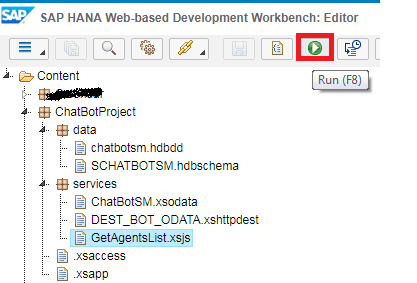 Select GetAgentsList.xsjs and click run button. Our XSJS require an authentication login/password. Launch the XS Admin tools as SYSTEM user to set No Authentication Required option like this for our Package. Save your configuration. The call is working without asking for Login/Password. Great!!! The first step is done and in the next post i will explain how to consume this HTTP REST ( XSJS script ) by a ChaBot Tool.